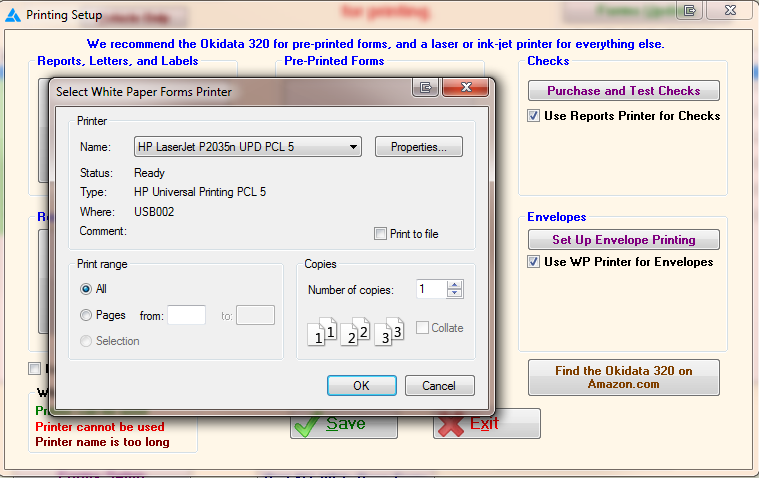 Before printing from Frazer, the default printers for the program must be selected. Go to >> 1 - System Options >> 6 - Printing Options. Click on the button to Set up which printers to use on THIS computer. For each section, select the correct printer type. Because Reports, Letters, and Labels, as well as Receipts and White Paper Forms and Envelopes are most commonly printed to office jet or laser jet printers, All Other Printers is selected. Choose the appropriate type of Okidata printer only if printing to the Okidata dot matrix printer (please note that PDF documents will not print from dot matrix printers). If the printer you have selected is showing in Red, it may be offline. Troubleshoot your printer as you normally would. 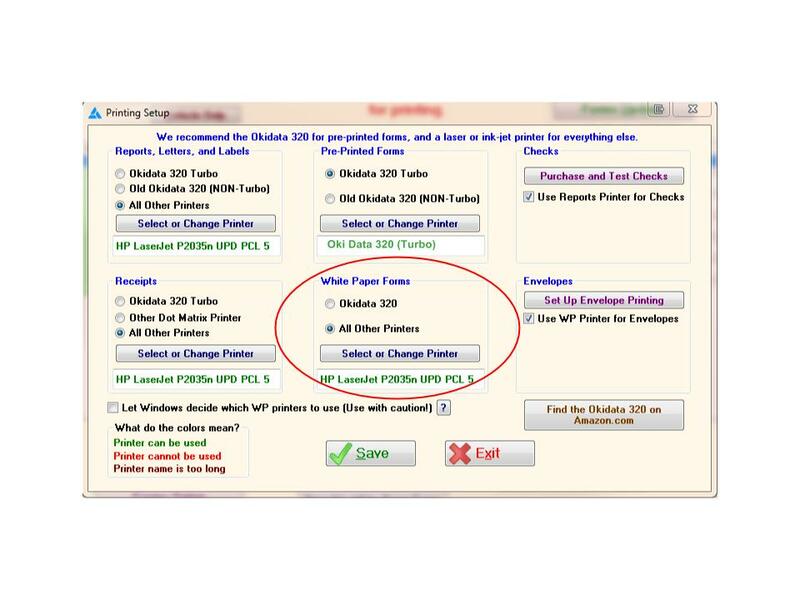 To select the default printers for the first time or to change printers in the future, click on the Set Up White Paper Printer button or in each of the other sections in each section. If you use a different printer for Checks and Envelopes printing, you can select that here as well. 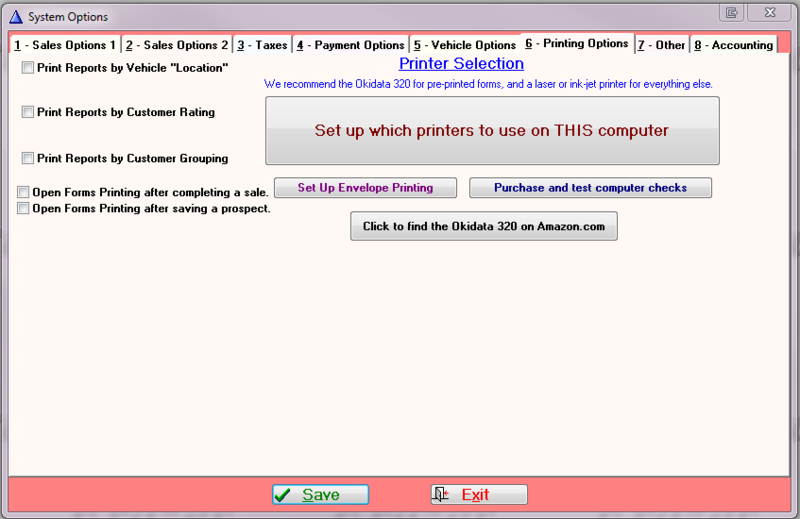 Once all printers are selected, be sure to click before exiting this system option.